The story is known all over the world, both in the Disney version and in the original fairy tale version. 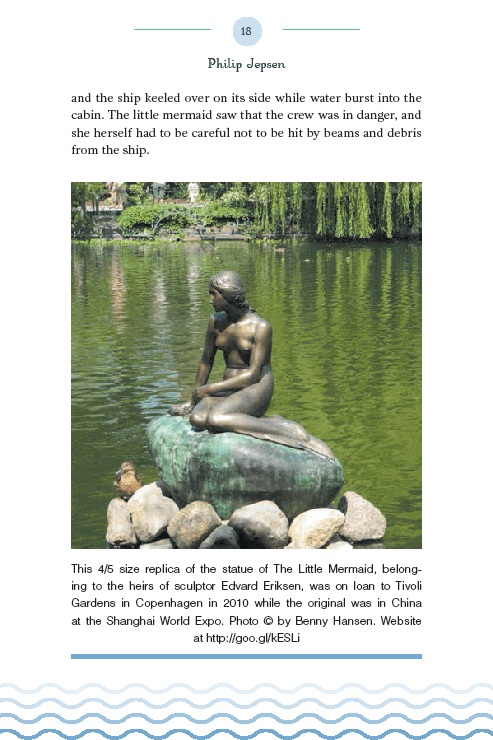 The statue of the Little Mermaid in Copenhagen is an icon of Denmark and of copenhagen, visited by over a million people each year. 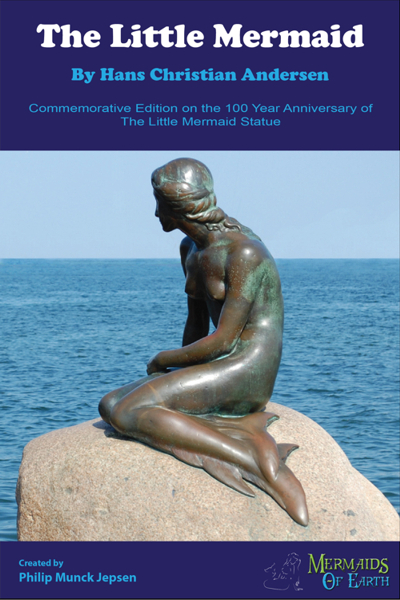 It is by far the most famous mermaid statue in the world, and there are official public art replicas of the statue in many countries. 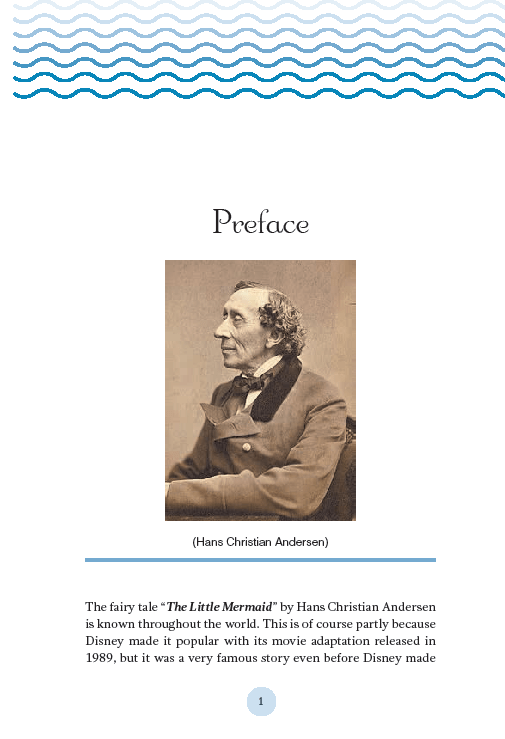 This book is a new and exact translation of the original Danish story into contemporary English. 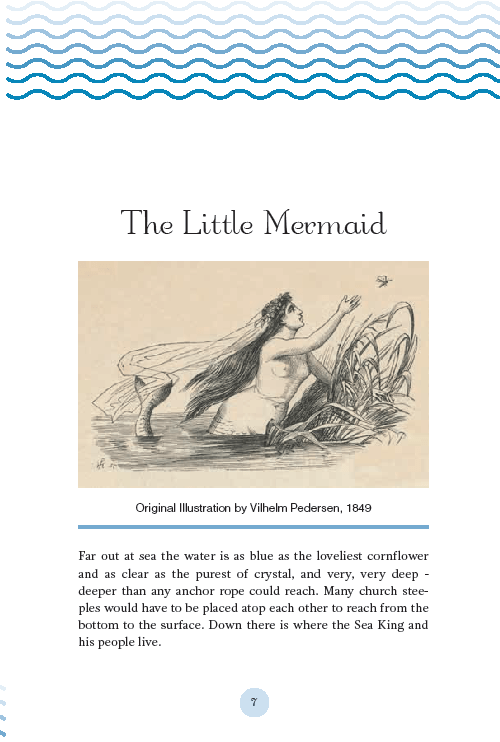 It includes historical photos and background information on the original author, the statue’s sponsor, the sculptor and the live model for the statue, and includes original illustrations. 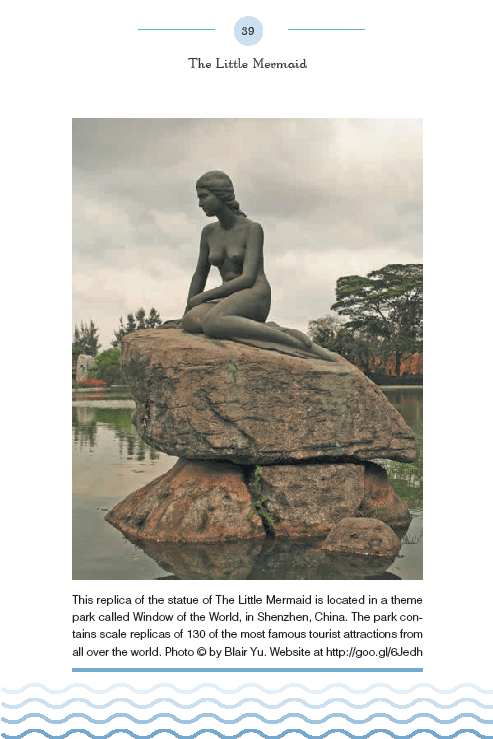 Additionally it includes photos of the many replicas of the statue in surprising locations around the world. The book is available in printed editions from the FriesenPress bookstore, from Amazon.com, Barnes & Noble and most book retailers. Electronic versions are available for Kindle, kobo and Nook.